If you’re like me, you probably make lots of purchases on the internet. You probably also use your favorite mile or point card to make those purchases so that you earn miles on those purchases. 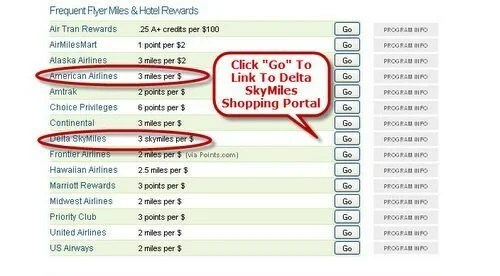 But did you know that you could earn even MORE miles by making your purchase through airline or hotel shopping portals? If you buy the microwave from Target.com you will earn 100 miles if you use a regular mileage card such as the Citi AAdvantage Visa or the Chase United Mileage Plus Visa (which earns 1 mile per dollar spent). But by clicking through to Target via the AAdvantage e-shopping mall you will earn an EXTRA 3 AAdvantage miles per dollar or an EXTRA 300 miles. That’s right – by using the AAdvantage e-shopping mall you earn 300% EXTRA miles! 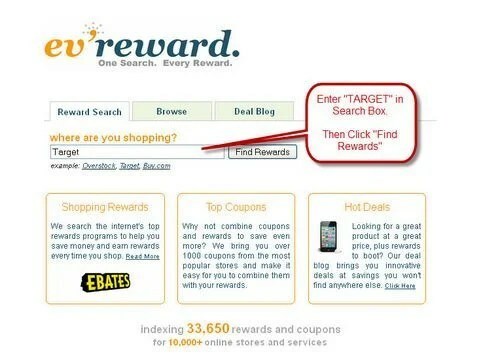 EVrewards.com is a good website to find and compare shopping portals that give you most bang on your buck. EV Reward evaluates which online shopping portal offers the best deal (cashback or miles and points) for your purchase. Let’s continue with our example of wanting to purchase a $100 microwave from Target. Usually you can earn more Frequent Flyer Miles or Hotel Points than Cash Back, but keep a look-out for cases where the Cash Back is much more than the Frequent Flyer Miles or Hotel Points. In our example, we can earn between .25 Air Tran Rewards per $100 spent to 6 Choice Privileges Points per $1 spent. Now, more points thru one program does NOT necessarily mean that it is a better program. You need toevaluate the value of each point to you. In this example, I would prefer 3 AAdvantage miles to 3 Delta SkyMiles because I value Advantage miles more than Delta Sky Miles and also because currently each AAdvantage mile counts towards lifetime Gold or Platinum status. Once you have identified in which program you’d like to earn additional miles, click on “Go” and you will be taken to that program’s online shopping mall. In our case, it will be the AAdvantage e-Shopping Mall. 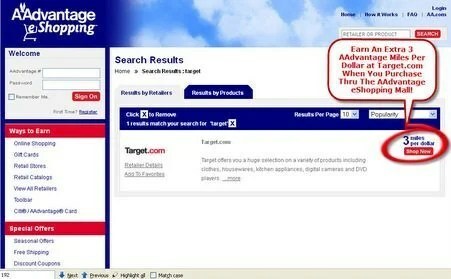 Complete your purchase and by clicking thru to Target.com from the AAdvantage e-Shopping Mall. This simple change in your online shopping habit will earn you many more miles! Bookmark EV Reward now! I regularly use the AAdvantage e-Shopping Mall to make my Groupon purchases. Groupon.com offers you great deals every day and you can earn miles and points on every purchase. BTW, some portals may require us to register our credit cards to get the extra bonus points.